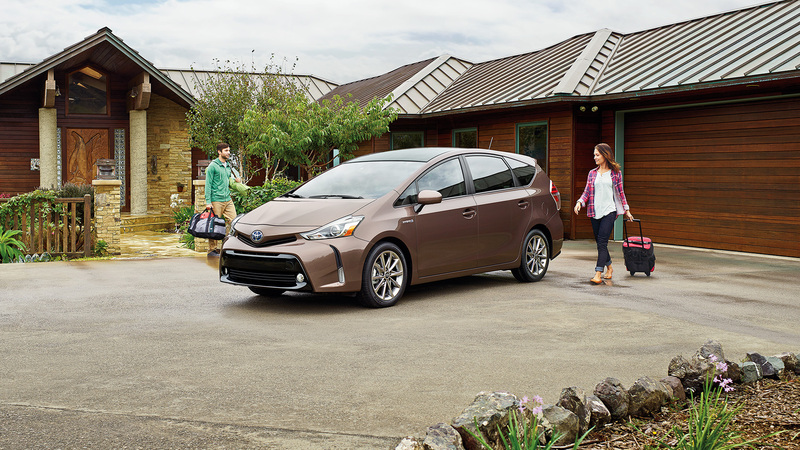 The 2017 Toyota Prius v allows Daytona Beach and Palm Coast drivers to combine the efficiency of a normal hybrid with the space and versatility of a larger vehicle. 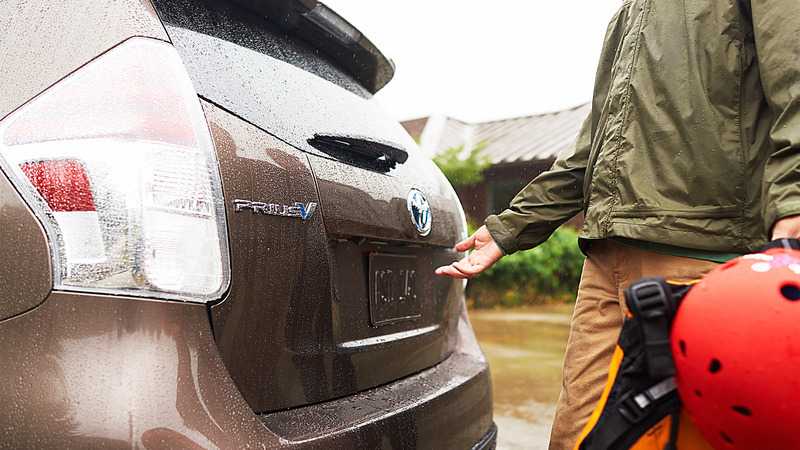 From cargo space to mpg, you’ll be thoroughly impressed — and the 2017 Prius v is currently available here at Beaver Toyota in St. Augustine, FL. 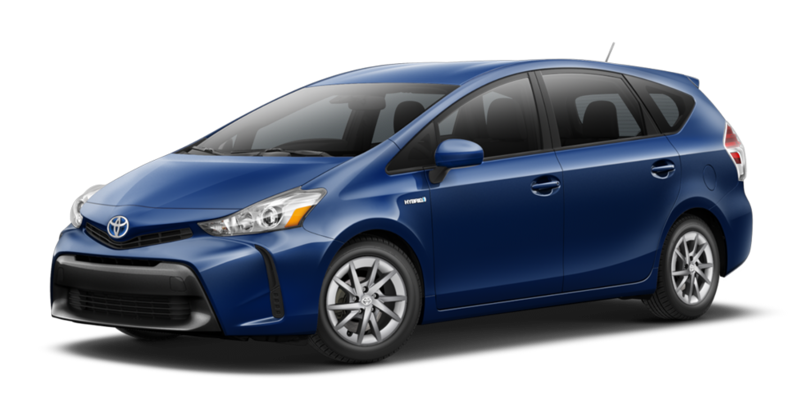 The 2017 Toyota Prius v is larger than your average hybrid, but it’s still an efficiency master. 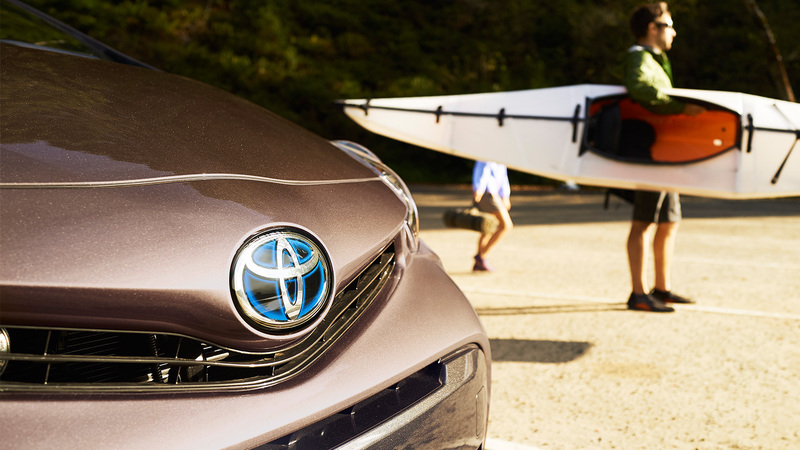 A 1.8L four-cylinder engine combines with the hybrid battery pack to put up to 134 hp at your disposal — more than enough to keep the vehicle feeling responsive under all conditions. 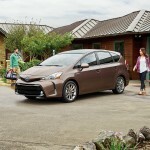 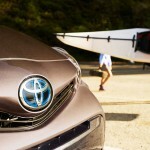 Despite that output, the Prius v is able to make up to an exceptional 43 mpg in the city and 39 on the highway. 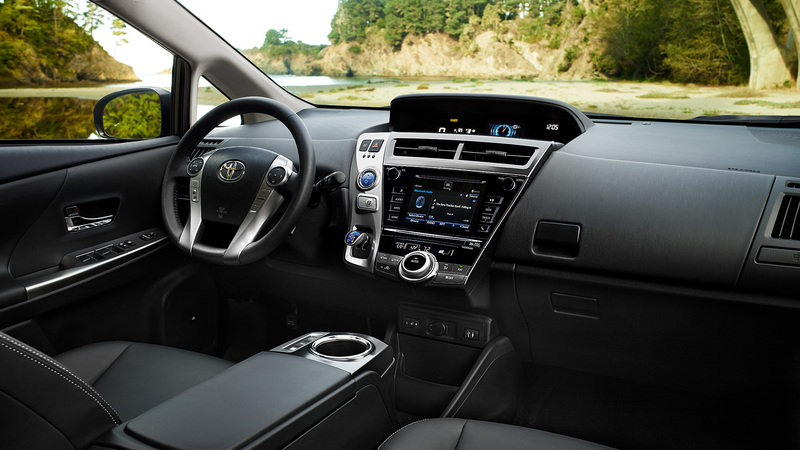 ** It can even coach you to drive more efficiently thanks to the Hybrid System Indicator screen, which shows how well you’re driving and helps you to learn how to get the most out of your vehicle’s fuel tank. 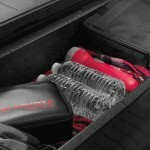 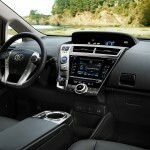 ECO: Activate ECO when you need fuel economy to be maximized. 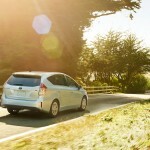 EV Mode: Runs the vehicle on battery power alone for up to one-half mile under certain conditions. 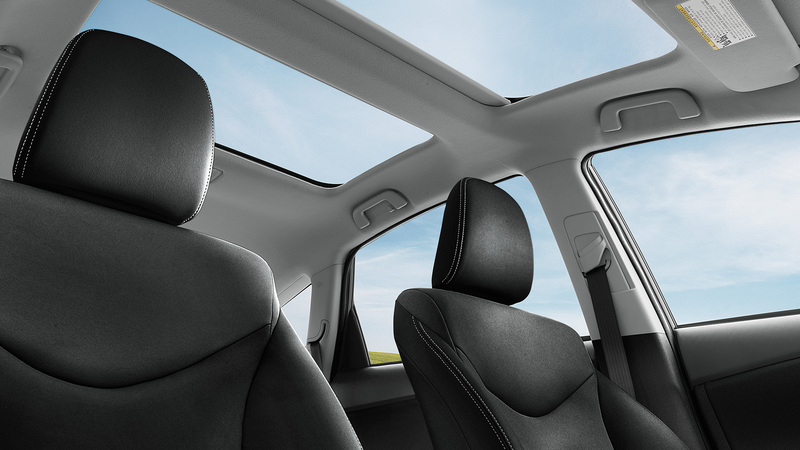 POWER Mode: Increases the responsiveness of the gas engine to ensure responsive acceleration when you need it. 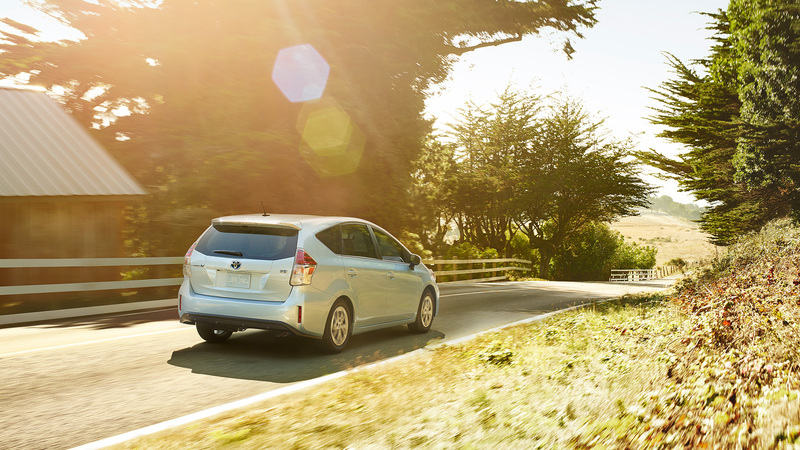 The Prius v is eco-conscious from the inside out, with available SofTex seats that produce 85% fewer CO2 emissions and 99% fewer VOCs than conventional synthetic leather, plus a highly-aerodynamic body. 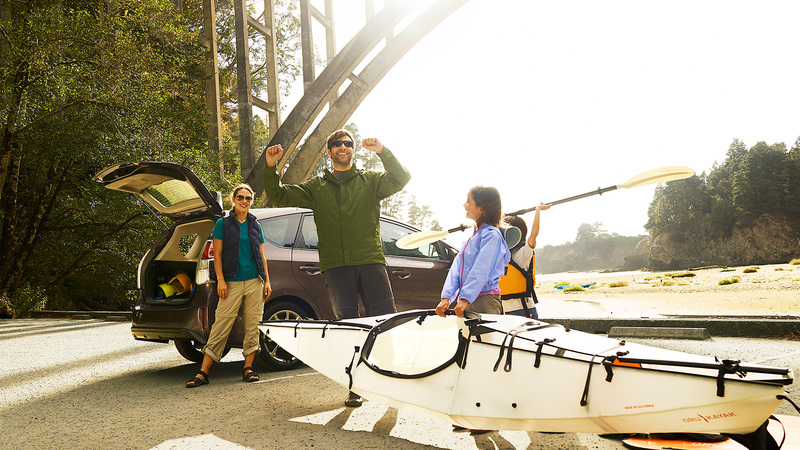 An available 8-way adjustable driver’s seat with power lumbar support delivers comfort, and up to 34.3 cubic feet of cargo space lets you pack away everything that you could need. 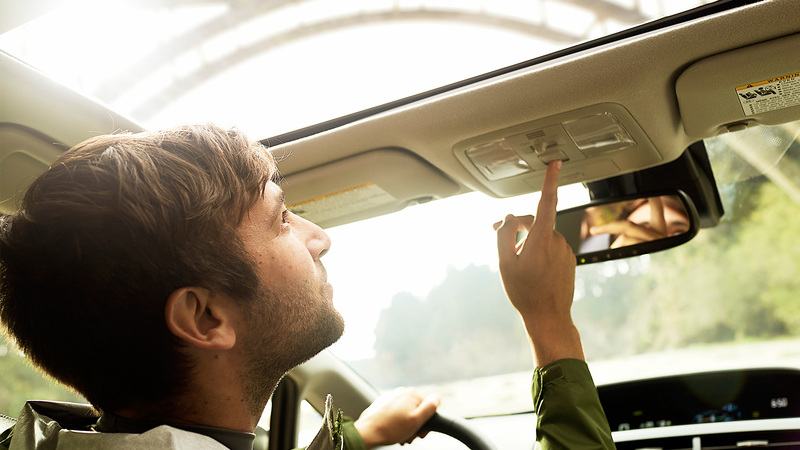 Entune App Suite: Whether you want to listen to music using Pandora, make a dinner reservation using OpenTable, or find a local business with Yelp, you’ll be able to do so using your vehicle’s touchscreen display with the available Entune App Suite feature. 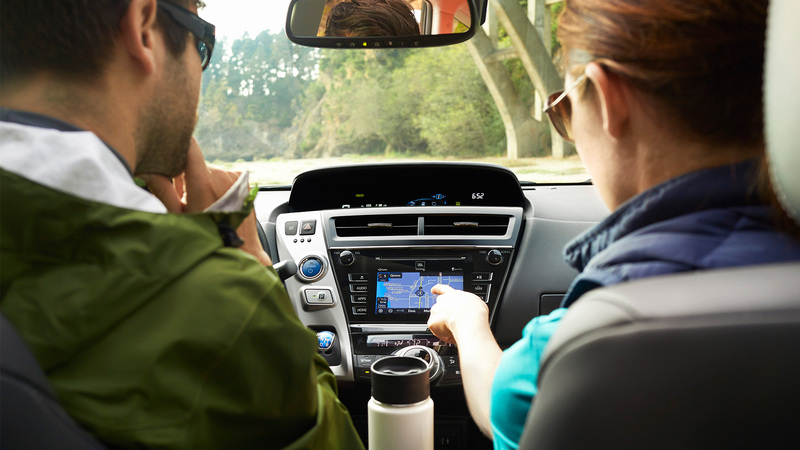 Satellite Navigation: The Prius v’s available integrated navigation system provides turn-by-turn directions, HD Radio, predictive traffic, and even a Doppler weather overlay on a stunning 6.1-inch touchscreen display. 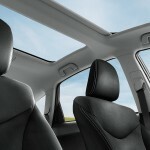 Dynamic Radar Cruise Control: Advanced sensors are used to gauge the distance between your Accord and the vehicle ahead. 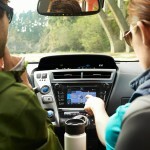 Your cruising speed will be automatically adjusted upward or downward to compensate. 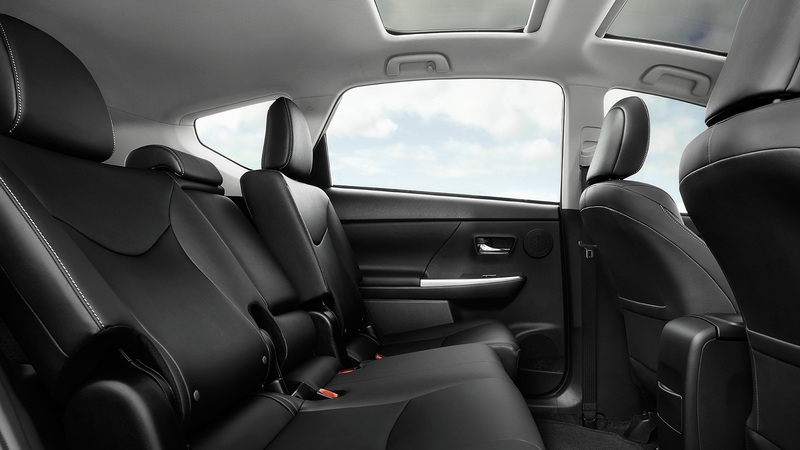 You’ll also receive Whiplash-Injury-Lessening (WIL) seats that have been engineered to yield intelligently in certain rear-end collisions, reducing the chances of injury at the same time, plus a LATCH (Lower Anchors and Tethers for CHildren) restraint system to ensure that child seats can be properly secured. 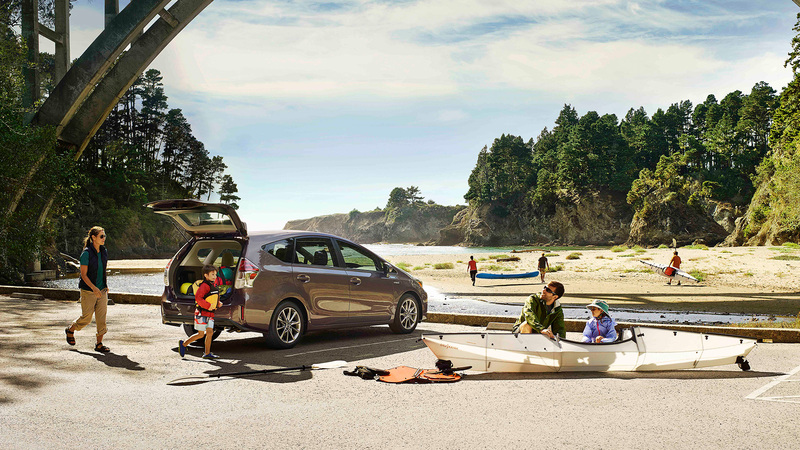 The2017 Toyota Prius v really is a game-changer, so you’ll need to take one out for a test drive near Daytona Beach and Palm Coast to truly appreciate everything that it can do. 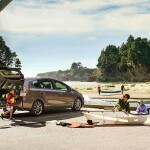 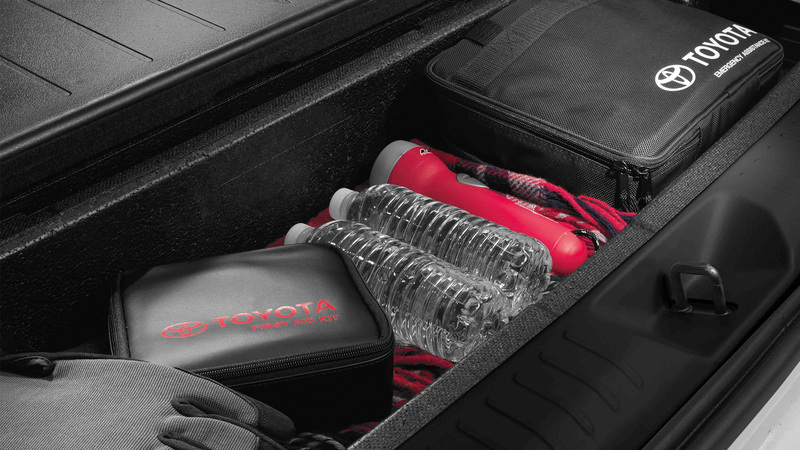 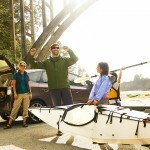 You’ll be able to do just that when you come to Beaver Toyota in St. Augustine, FL.